← Rock on son, rock on. 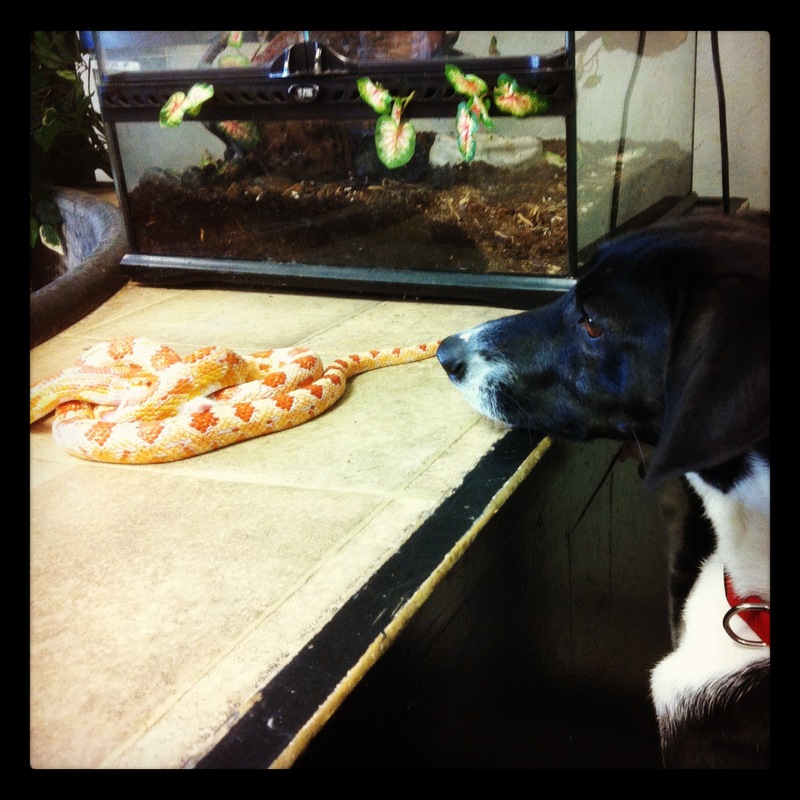 Sunday about town, aka Snakes, Dogs, and Hip Homemakers. Sunday was one of those epic Sundays that we stuffed so much into that I’m not sure if I should include it all in one post or break it, but I think I’ll go for it. We started off at church where I noticed a bug crawling around on a guy’s collar. I pointed it out to my kids and husband, but before I decided if I should brush it away or let the guy know it disappeared down the back of his neck. That brought on a fit of giggles for my oldest, perhaps I’m a bad influence. We had lunch at a place new to us, BJ’s Brewhouse. It has a long list of drinks and their food was ok. My biggest issue was the enormous size of the kid meals. I think we could have ordered one and split it between all three kids. We continued on to REI to buy some new TEVAs for the kids, the best summer shoe for kids in my own experience. They can run through rivers, on the beach, through mud, and climb trees. They smell like death warmed over after a bit, but not to worry! They are easily thrown into the washer and come out like new, we also occasionally spray them with Lysol to help kill any smelly bacteria on them. Our kids live in them during the summer, the straps are fully adjustable so we buy them a little big and they can go through a couple of summers so it’s well worth the price. 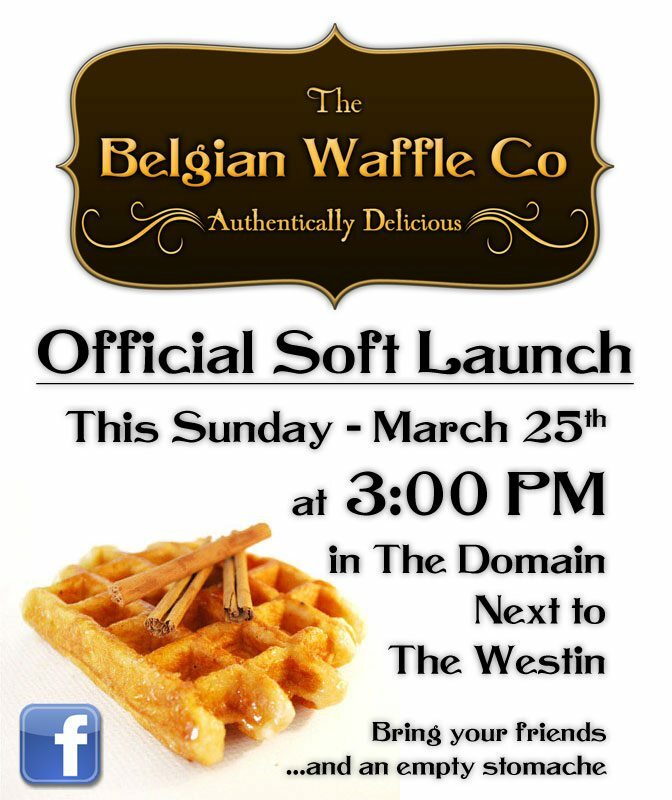 After shoes we were on to the Domain to get a free waffle for each of us at the soft launch of the Belgian Waffle Co. The owner came out of the truck to talk to us and tell us about his waffles. These waffles were surprisingly chewy and sweet all on their own. Some sugar from the batter caramelized on the outside of the waffle like candy. According to the owner, a real Belgian waffle is made from a dough rather than a batter. He imports all his dough from Belgium so they’re the most authentic waffles and have the best ingredients. I had a cooking class at Central Market again so we continued on our little journey. Along the way to the store we stopped at an exotic pet store, free zoo! They had a store dog, if I ever own a bookstore I want a store cat. There’ll probably be someone allergic to cats and they would protest my kitty living in my store but I would stand my ground. Store cat isn’t hurting anyone, she only wants to sleep on the newspapers in the sun. They could go to Barnes and Noble if their allergies bother them so much. Cool people love store cat. Anyhow, store dog was carrying around a paper towel tube in his mouth when we arrived. At one point I saw him pawing under the big turtle pond and told my husband that store dog lost his tube. Then my son says “look, he found a rat!” So my husband says “No, it’s just one of his toys.” But the store guy jumped up and ran after the dog, turned out the dog was chasing an escaped mouse and caught it. The guy decided to feed it to a snake, when I told the kids what was happening they ran to the cage to watch. I think morbidity runs in the family. When he realized there was an audience he brought the snake out of the cage and to a counter top so we could watch his meal. Store dog is obviously very upset that someone took his mouse. Circle of life in full view. I know some people are upset by the little mouse being eaten by a snake, and by my kids watching it all like they’re at the circus. I believe that most people these days are not connected to nature or reality enough. 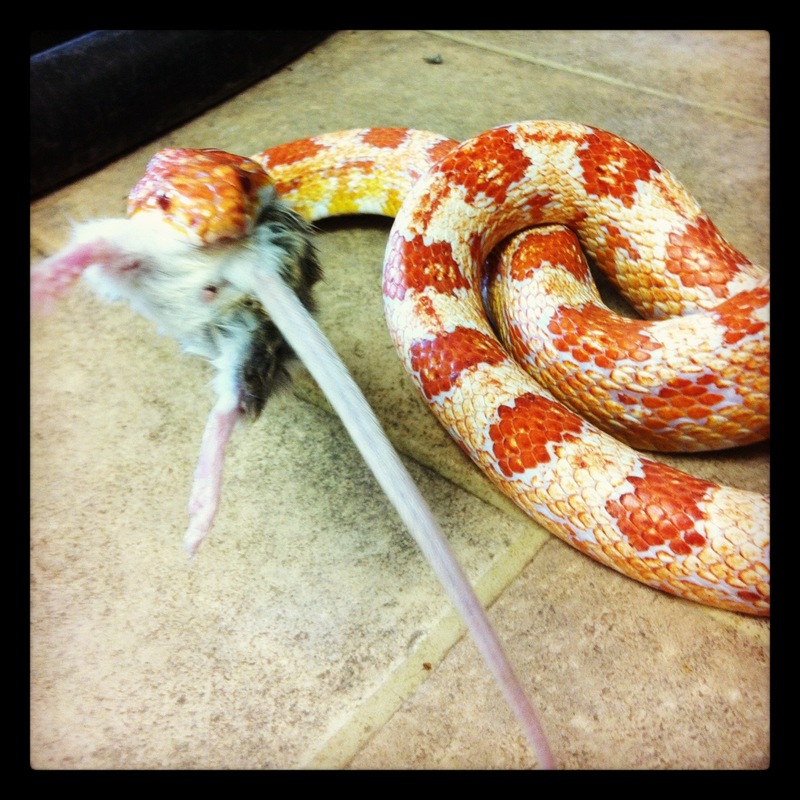 We need to be honest about how food works, yes the mouse was cute, but the snake needs to eat too. If we didn’t have snakes then we have mouse problems, and if we have mouse problems, then we get mouse diseases. I once mentioned in front of another mom’s kid that we were eating birds when we were eating some chicken nuggets and she was horrified. “Don’t say that! You’ll scare him!” My kids have always known what animal we are eating, just like they know what plant we’re eating, what goes into making bread or cookies, and just knowing in general where food comes from. Then it was time for my class! 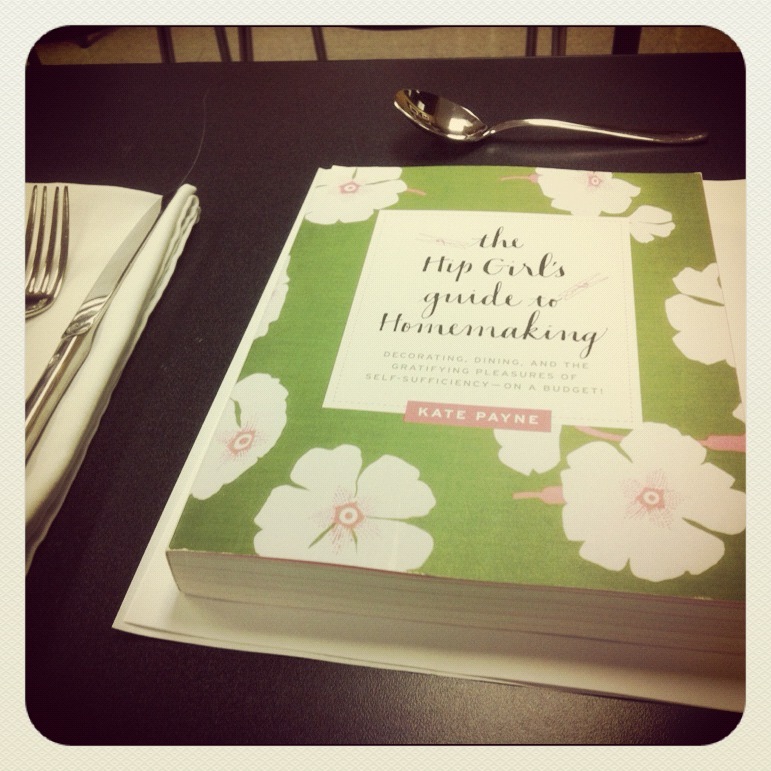 The class was hosted by Kate Payne, author of The Hip Girl’s Guide to Homemaking, based on her blog here. She demonstrated kimchee and preserved lemons, among other recipes. Ever since I was younger and saw a travel special about Morocco I have wanted to try a preserved lemon. The recipes I read sounded so intimidating, but the way Ms. Payne showed how it’s done, made me excited to try it. The cooking demonstrations at Central Market always include food and wine, we were served kimchee paired with some medium rare steak, preserved lemon risotto, a virgin Bloody Mary with pickled cauliflower, and vanilla ice cream topped with some of her own strawberry jam. She includes a little lemon zest which brightens up the jam so nicely, it was heavenly on the ice cream. 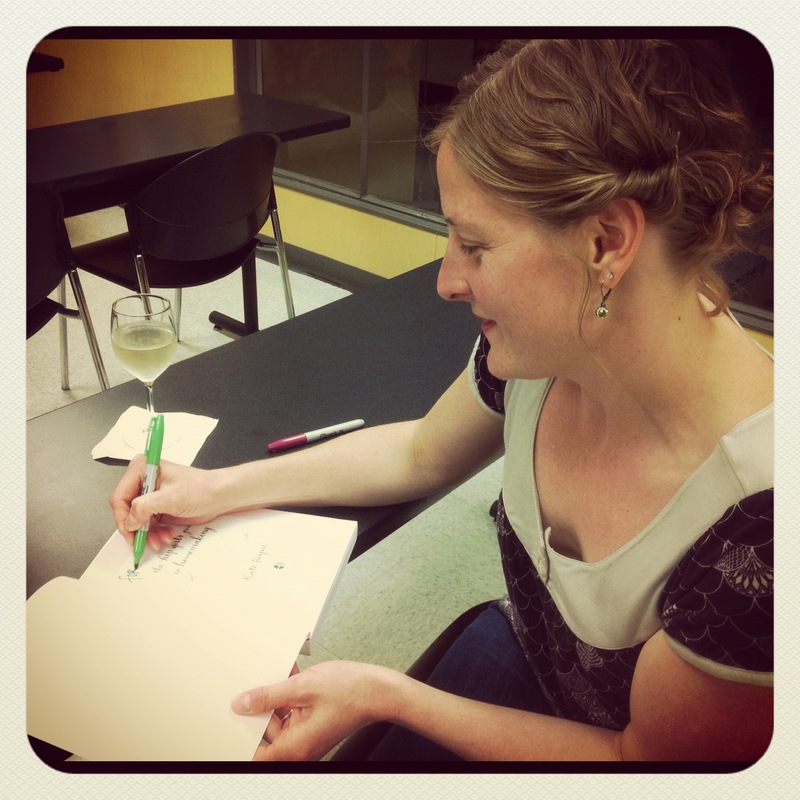 The class included a jar of strawberry jam and a copy of her book, which she signed after her demonstration. A great, but tiring Sunday. This entry was posted in Canning, Cooking, Instagram, Parenting, Preserving, Project 366 and tagged belgian, dog, food truck, hip girls guide to homemaking, kate payne, kimchee, lemon, preserved, snakes, sunday, teva, waffles. Bookmark the permalink. 2 Responses to Sunday about town, aka Snakes, Dogs, and Hip Homemakers. There isn’t one in the Domain, but we found one between the Domain and Central Market on Burnet.